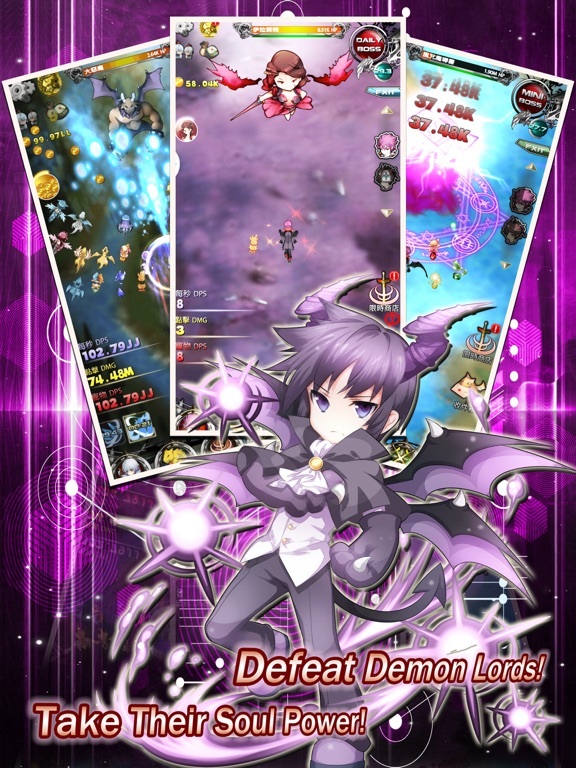 [prMac.com] Tsuen Wan, Hong Kong - Element Cell Game Limited today is proud to announce the release of TAP Shooter: Sky Battle 1.0, their new RPG title for iOS and Android devices. Getting surrounded by hordes of enemies and dodging bullet hell is not the only way to play a Shooter game. In TAP Shooter: Sky Battle, you summon a horde of allies to surround and destroy monsters! You will power up your hero and allies with Incremental clicker gameplay, and go forth to annihilate the Devil Army! * Fast-Paced Combat - Shoot! Destroy! Push Forward! Have fun mowing down gigantic monsters! * Mow Down the Mobs with Style - As you level up, you can learn various awesome skills - Powerful attacks, massive group buffs, and draw upon the power of your friends and guildmates. * Fly with Your Pets - You can summon pets to help shoot down the monsters. Not just a couple of them. You can summons dozens of pets to swarm your enemies. * Collect Artifacts - By going through Rebirth, your hero can earn Rebirth Crystals to be turned into Artifacts with immense magical prowess. For every Rebirth your hero go through, they will get tremendously stronger through the power of the Artifacts. TAP Shooter: Sky Battle 1.0 is Free and available worldwide through the App Store in the Games category. There is also an Android version available on Google Play. For more information, please contact Yick Lam. Element Cell Game is an indie game studio founded in 2014. They have released numerous games of various genres, including casual simulation, quiz, vertical shooter, VR first person shooter, etc to iOS, Android, as well as Windows Phone platforms. All Material and Software (C) Copyright 2017 Element Cell Game Limited. All Rights Reserved. Apple, the Apple logo, iPhone, iPod and iPad are registered trademarks of Apple Inc. in the U.S. and/or other countries. Other trademarks and registered trademarks may be the property of their respective owners.